Panelists on PeopleMatters TV said creating the right mindset, bringing all the stakeholders to the table and listening to the skeptics are crucial steps in ensuring successful adoption of HR tech in companies. The latest model of a cell phone, using a fitbit to count steps, transferring money instantly using a banking app--are all ways in which people take to consumer technology effortlessly. When the same people enter their workplaces however, there’s a major disconnect that tech can’t bridge! Given that people interact with technology in their personal lives and in their workplace, there are several challenges that HR leaders face when bringing about a tech change in their organizations. 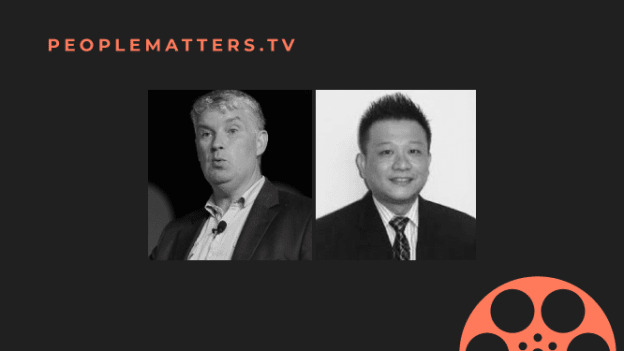 Panelists on the latest episode of PeopleMatters TV discussed the challenges and provided solutions that might help businesses implement effective tech adoption journeys. Panelists included Bambang Yapri, Human Capital Director with Samora Usaha Makmur based in Jakarta, Indonesia and Dr. Finn Majlergaad, Managing Partner with Gugin, a consulting firm that helps build holistic corporate cultures based in Nice, France with Ester Martinez, CEO & Editor-in-Chief of People Matters. Half the battle is won when the mindset towards adopting new tech is positive. Just like the business branch likes to look at potential monetary returns, employees ask the same question when doing something new--what’s in it for me? Employers can answer this burning question in a simple and honest manner. Helping the employees visualize how the effective use of a particular piece of tech can improve their lives and in-turn achieve business goals, can help motivate the workforce to adopt. A major difference between adoption of consumer tech vs. adoption of HR tech is that on an individual level, a person can learn new tech at her own pace. However, on an organizational level, there are several barriers that make it difficult to implement rapid change. And, technology transforms at a rapid pace that several organizations have trouble keeping up with. The motivation for adopting consumer tech is a personal one: be it the curiosity of new gadgets or an inclination towards personal growth. HR professionals can tap into this motivation and create a learning-oriented mindset among employees. A corporate culture that is accepting of change can cultivate a positive attitude towards technology. Another challenge that slows down tech adoption in a workplace is that there are several generations in the workforce interacting with new tech. There are digital immigrants and digital natives all grappling with the same technology in their own way. “You have a skeptical person but you also have the early adopters in the same organization,” said Yapri. Digital natives are the millennials and the Gen Z members who are now increasingly participative and playing a crucial role in shaping the future workforce. Digital immigrants on the other hand are those who are learning technology as a new skill. There is thus a delicate dance of upskilling the digital immigrants while giving the digital natives a clear direction so that they are motivated to actively learn and teach the new HR tech. Adoption of consumer technology is different from that of a new tech in the HR space. For starters, a new piece of tech such as a fitness watch might be adopted by certain segments of the entire population. However, with HR tech, the initiative is successful only when the entire organizational workforce gets on-board and starts interacting with the tech in an intuitive manner, Yapri said. Employee engagement, business goals and effective HR tech adoption are all mutually dependent on each other. An organization cannot achieve one without the other. A new piece of technology needs to be introduced strategically into an organization. HR leaders must align clear business goals and implement the new tech accordingly through different layers of the organization, Majlergaad said. “You have people who are very excited about the technology and then they expect everyone else to be excited too,” Majlergaad added. In Indonesia, Yapri says, the access to high-speed internet and data connection is not equal across various areas of the country. Working around this inequality in terms of infrastructure is a primary concern for most organizations in Indonesia. For Yapri, it is crucial to look at how the method of technological adoption impacts the employees. HR tech implementation has to be combined with business goals--only then would all the stakeholders come to the same table and achieve both business asks and employee engagement. When thinking about implementing technology across various levels of the organization and across a multigenerational workforce, taking inspiration from consumer technology sector can help in a big way. Keeping the technology simple and easy to operate is key in getting employees who are both digital natives and digital immigrants excited about the new technology. It is human nature to fear the unknown--in this case, the unknown is the new tech. People are afraid that new technology could make their jobs redundant. For the technology to become successful in an organization, HR leaders need to include all the stakeholders--including the skeptics. Once all the stakeholders become a part of the decision-making process, leaders can strike the balance between rushing into a major overhaul of a system or bringing about a more step-by-step implementation of the change. Majlergaad added that it might be easy for a all the early-adopters in the company to get excited and initiate the journey of tech adoption, however, with the involvement of those employees at the other end of the spectrum i.e. the skeptics, the implementation should be more measured, balanced and holistic in nature. Even though HR and business leaders might not see the results of organization-wide adoption of tech in the short-term, it is crucial to not give up during the process of implementation. “The leaders can appreciate or celebrate tech adoption--even if it is a small success or just a milestone. But, it can bring a huge impact in motivating the employees and boosting the confidence of the workforce,” Yapri said. The act of celebrating and recognizing the simple steps has a positive impact on the whole journey of technological adoption, he added. It then leads to a snowball effect wherein everyone in the organization joins the journey.